Yesterday, in the case of McCutcheon v. Federal Election Commission, No. 12-536, the US Supreme Court struck down another congressionally imposed restriction on free speech. The reaction of the Left and Democrats to the McCutcheon decision is one more example of how they have become unhinged from the Constitution and the freedoms it was designed to protect. But don’t be fooled by the establishment media perceptions or characterizations of the division on the court. The real split was between those justices who view the Constitution as the law that governs government and those who view the Constitution as a quaint anachronism that can be got round with a little sophistry. “The government may no more restrict how many candidates or causes a donor may support than it may tell a newspaper how many candidates it may endorse,” Chief Justice john Roberts wrote in an opinion supported by three other Justices. 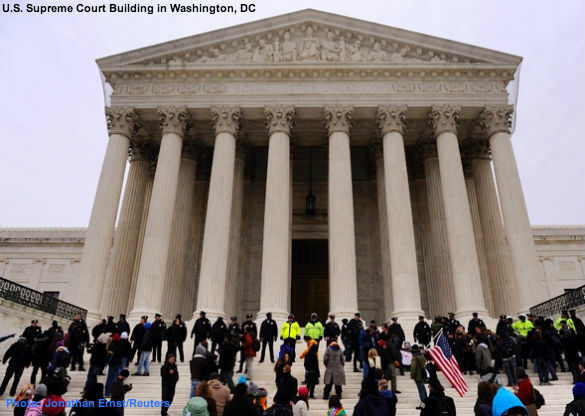 Leveling the playing field is not an acceptable interest for the government, Roberts said. Nor is “the possibility that an individual who spends large sums may garner ‘influence over or access to’ elected officials or political parties,” he added, quoting Citizens United. The reality of the restrictions in question, and other campaign finance restrictions that the Supreme Court did not address in McCutcheon, is that as a practical matter they have nothing to do with rooting out "quid pro quo corruption" and everything to do with protecting incumbents. The incumbent protection racket created by the current system of campaign contribution restrictions also has the effect of protecting the growth of government and protecting the power and interests of the Big Government, Big Business, Big Labor axis that controls the bulk of the billions spent during a typical election cycle. If donors can “max out” to as many candidates as they want, they won’t need Karl Rove or a Union Boss to collect the money and spend it where and how they want. Not surprisingly, the Left went crazy when the decision in McCutcheon was announced. In other words, forget the Constitution, if they can’t use the government to restrict the freedom of speech of conservatives the hard Left will take it to the streets to restrict the freedom of speech of those they don’t like. We’ll bet you would have a hard time finding a member of MoveOn who would support a law to prohibit burning the American flag or oppose a law restricting protests at abortion clinics – both of which are free speech cases the Supreme Court dealt with according to the political views of secular liberals – but when the Court actually expands the free speech rights of people they don’t like liberals go nuts and call for riots in the streets. In McCutcheon it was a close call, but five Justices got it right, or right enough, to secure the rights of the people against the legislative, as well as the executive ambition. Read the SCOTUS opinions here.